Give Your Child A Celebration To Remember With Our Birthday Parties In Boca Raton! 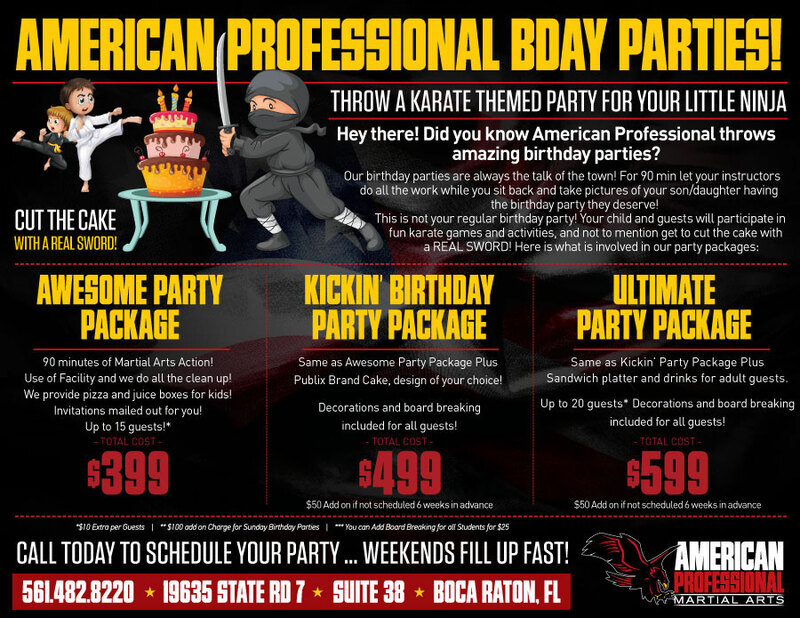 Take on the most exciting Martial Arts Birthday Parties in all of Boca Raton! 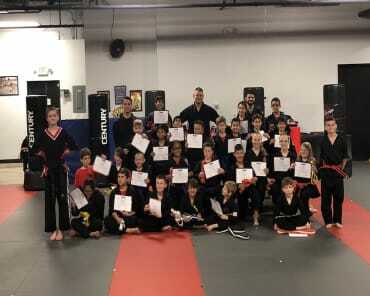 Our team at American Professional Martial Arts treats your child like a true champ with exciting games and activities, PLUS cake cutting with a REAL SWORD! Our Martial Arts Birthday Parties are great for all ages and we handle everything! No more stress. No more hassle! We host Birthday Parties every weekend! Reserve yours today! 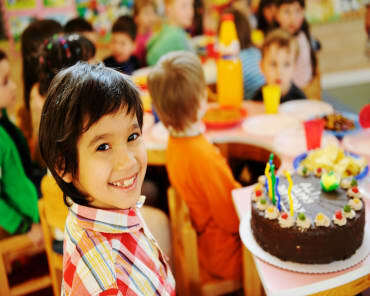 Choose From Three Exciting Birthday Parties In Boca Raton! With our Birthday Party packages, you don't have to feel boxed into just one option. We're proud to offer three unique parties that will meet the need of any party or group. Reserve Your Birthday Party With Us Today! Don't miss out on the most exciting Birthday Parties in Boca Raton. We can't wait to celebrate with you! Just fill out the short form to learn more or to reserve your kids birthday party at American Professional Martial Arts!